Peter Bennett has successfully represented management on matters of traditional labor and employment law for over thirty years primarily in the Northeastern United States. He is respected as being in the very highest echelon of lawyers in his field by his inclusion in the Bar Register of Pre-eminent Lawyers, Martindale Hubbell (where he was the second youngest lawyer to hold an AV rating when it was awarded to him), Best Lawyers in America, Super Lawyers, Chambers USA, the Nation’s 100 Most Powerful Employment Attorneys and other respected peer reviewed lawyer rating publications. Peter represents management in the areas of union avoidance, collective bargaining, grievance arbitration, employment investigations, unfair labor practice charge defense before the National Labor Relations Board, unfair labor practice complaint trials before the NLRB, injunction litigation, covenant not to compete advice and litigation, wrongful discharge defense, employee and corporate investigations, trade secret litigation, employment discrimination defense and litigation and other similar and related areas. In addition, Peter’s labor clients refer their corporate litigation to the firm because of the trust that they place in the lawyers at the Bennett Law Firm. On occasion, this has included the successful defense of bet the company claims. 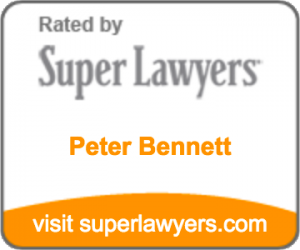 Peter has negotiated over two hundred collective bargaining agreements for clients with one location to multinational corporations to multi-employer trade associations representing as many as one hundred separate employers at one time. His success rate is almost perfect but he has successfully defended strikes, corporate campaigns, boycotts and other labor disputes as part of achieving his clients’ success. Peter’s bargaining philosophy is to achieve a fair and workable agreement for management while remaining willing to take a strike to achieve long term success if that is what is needed. Peter has negotiated with most major unions in the United States but predominantly against the Teamsters and United Food and Commercial Workers and generally in locations from Maine through Pennsylvania. Peter and his team have a success rate of nearly 100% in union avoidance. They attribute their success to both their experience in dealing with unions for their unionized clients as well as being one of the very few law firms to engage in persuader activities to convince employees that they are best off remaining union free. Under the new NLRB expedited election rules, campaigns can last less than two weeks, creating unrealistic time constraints. As a result, other lawyers and law firms refer union avoidance projects to Peter because of the firm’s reputation and the knowledge that they will get the job done. 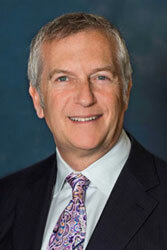 Peter has tried scores of arbitration cases as well as having many bench and jury trials in federal and state courts. Again, Peter has a highly successful track record in trial. The firm’s lawyers are known for being well prepared, skilled advocates who know how to try a case and advocate effectively for their clients. Peter is an active volunteer in his community and within the Bar. He has chaired the 36,000 member Tort Trial and Insurance Practice Section of the American Bar Association, has chaired the ABA’s Standing Committee on Judicial Independence, served as special advisor to the ABA’s Standing Committee on the Civil Justice System, is the First Circuit member of the ABA’s Standing Committee on the Federal Judiciary, is a member of the ABA’s Commission on the American Jury Project, is Treasurer and Trustee of the National Judicial College in Reno, Nevada and a trustee of the Appellate Judges Education Institute. In his community he has been involved in many civic groups including Portland Stage Company and the Portland Museum of Art.